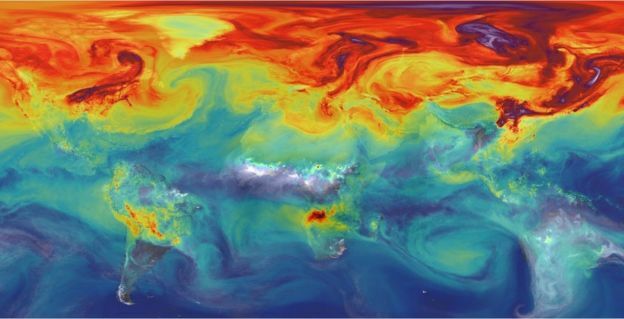 A Nasa satellite has provided remarkable new insights on how CO2 is moved through the Earth’s atmosphere. “If future climate is more like this recent El Niño, the trouble is the Earth may actually lose some of the carbon removal services we get from these tropical forests, and then CO2 will increase even faster in the atmosphere,” explained Scott Denning, an OCO science team member from Colorado State University in Fort Collins. That would amplify warming, he told reporters. 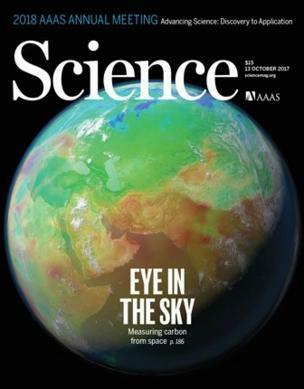 Technical papers describing OCO’s work have just been published in Science Magazine. El Niños occur when warm waters in the western Pacific periodically shift eastwards. This sets off a global perturbation in weather systems, redistributing rainfall and bumping up temperatures. The 2015/16 event was one of the strongest on record and this was evident in the rise of CO2. Normally, the concentration of the gas in the atmosphere goes up each year by about two parts per million by volume (ppmv) of air molecules – the equivalent of four gigatonnes of extra CO2. The current total is just over 400ppmv. But in this extraordinary El Niño period, the jump was 3ppmv, per year – or six gigatonnes. What was remarkable, however, was that human emissions of carbon dioxide were thought to have been relatively static over the same period, meaning something strikingly went wrong with the processes that would normally scrub CO2 from the atmosphere. OCO’s ability to track the gas and sense the rate of photosynthesis in plants provided the answers. In South America, it could show that the biggest drought in 30 years limited vegetation’s ability to consume CO2. In Africa, hotter than average temperatures increased decomposition of plant material, releasing carbon dioxide into the atmosphere. 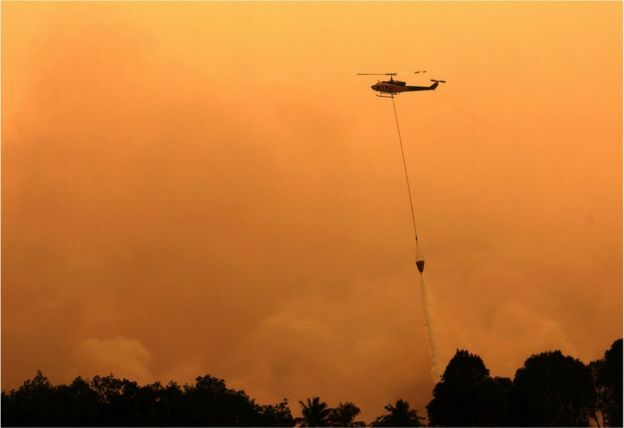 And in Asia, tinder-dry conditions fed rampant fires, particularly in Indonesia. “The fires released peat carbon that had accumulated over thousands of years,” said Junjie Liu, an OCO research scientist at Nasa’s Jet Propulsion Laboratory. “This is the gold star for OCO: we wanted to understand what happened in different regions of the world,” said Nasa deputy project scientist Annmarie Eldering. “We used to think of the tropics in a monolithic way, but now we can say one region behaved this way and another region behaved in a different way; and together they created this effect of more carbon in the atmosphere,” she told this week’s Science In Action programme on the BBC World Service. Paul Palmer, an atmospheric scientist at Edinburgh University in the UK, described the OCO observations as groundbreaking. “This is the first major climate variation where we’ve had satellite observations of atmospheric composition, and of land properties and of ocean properties – all at the same time,” he said. 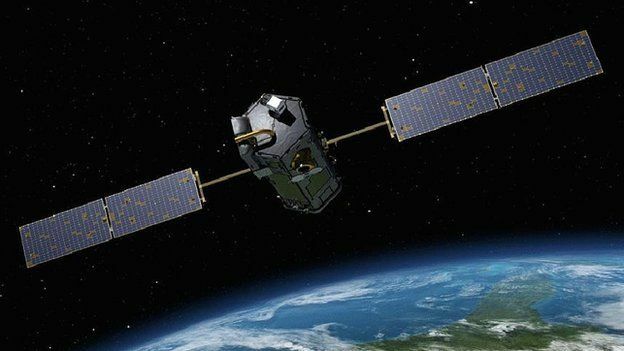 The Orbiting Carbon Observatory is described as a pathfinder for the types of carbon-monitoring satellites that will come later. This orbiting network would even make it possible to police individual countries’ commitments to reduce carbon emissions under international agreements such as the Paris climate accord of 2015.